From the Evaporative Cooling Group of AEFYT (Spanish Association of Cold and its Technologies) maintenance has always been insisted on as the key element to guarantee the social and sanitary safety of evaporative towers and condensers, as well as of all those equipments capable of housing the legionella bacteria. The technical advances registered by evaporative cooling installations over the last few years favor maintenance tasks, guaranteeing their correct functioning, but how have these equipment changed and how do these innovations contribute to guarantee safety? 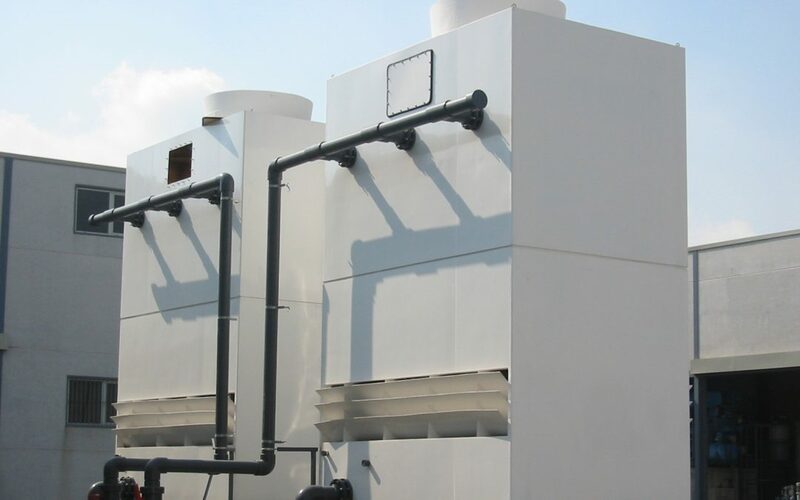 The cooling towers and evaporative condensers can only cause an outbreak of Legionella if they are not maintained properly and today there are many factors that allow this maintenance to be guaranteed. In addition, at present, the level of inspection of these facilities by the health authorities reaches its complete totality, far above other risk facilities, so that compliance with the regulations is guaranteed. The next step, as has always been the case from the Evaporative Cooling Group of AEFYT, is to monitor the rest of the risk facilities – nebulizers, fountains, spas, hot water installations – and to carry out an exhaustive control of the supply network of water. At this point it should be remembered that, during the last two years, there have been no outbreaks associated with cooling towers and evaporative condensation equipment. In this sense, the environmental and epidemiological investigations, as well as the inspections carried out in the risk installations carried out around the detected outbreaks, have not found links between the outbreaks and this type of equipment. This circumstance is due, in good part, to the effort made by manufacturers, installers and holders of evaporative cooling equipment to promote their safety. .- Automated purge systems: avoid high concentrations of salt, a circumstance that has a positive influence both on social-health safety and on maintenance since it facilitates the work of technicians. .- Likewise, the towers can incorporate bacteriological control systems and continuous water treatment that keep them in optimal conditions. .- Materials: its evolution has focused on high efficiency fillings that have been transformed thanks to the use of resistant materials, especially polypropylene and polyester, which offer great resistance and allow exhaustive cleaning. .- The high efficiency droplet separators have experienced a similar evolution in terms of composition and effectiveness when it comes to reducing the exit by dragging drops of water outside the tower, reducing the formation of aerosols. .- Accessibility: the correct accessibility guarantees that the cleaning of the tower is carried out correctly. In this sense, the current equipment presents an extreme accessibility through wide doors that facilitate the entrance to the technical equipment. .- The systems to facilitate drainage, cleaning and sampling are translated into inclined trays, platforms and stairs that also meet the highest standards in terms of occupational safety. .- The design of the windows prevents the passage of light or water that carries dirt. Preventing the passage of light is especially important to prevent ultraviolet rays from causing the necessary conditions for microbiological development inside the tower. This is, precisely, one of the great advances experienced in recent times: the sealing of the windows guarantees the safety and operation of the equipment.